This is the most searched for jewellery item in the world | HELLO! The Cartier Love Bangle is the most searched for jewellery item in the world, according to a new report. Research by a company called Karus Chains showed that the bracelet, which has a number of celebrity fans including Kylie Jenner, tops the list with over 350,000 Google searches per month. It is followed by a Tiffany engagement ring, then the jeweller's iconic heart necklace and in fourth place, Swarovski crystal earrings. Cartier Love Bangles retail anywhere between £1,150 and £31,000 and have a number of celebrity fans including Jennifer Aniston, Sienna Miller and Sarah Jessica Parker. 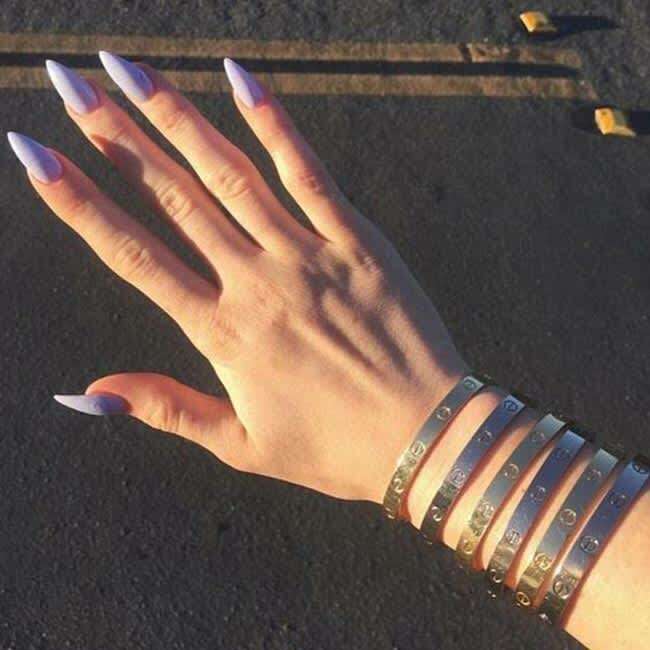 Kylie Jenner is so obsessed she has a number of bangles in both yellow and white gold, which she regularly shows off on social media. And the teenager revealed earlier this year that she's had one of the designer bracelets trapped on her wrist for four years. In a Snapchat video of her in a Cartier store, Kylie said: "This bracelet has been stuck on for like four years and no one at this store can take it off, not even security." The bracelet is designed to resemble a chastity bracelet, and comes with a small screwdriver to secure it on the wrist. It's not known if Kylie ever managed to get the accessory off, but as she's always seen with at least one of them it would be safe to assume she's still struggling.